Johannes (John) Schwindt (Swint) was born October 6, 1868 in Norka, Russia, the son of David Schwindt (born 1820) and Katharina Elisabeth Vogler (born 1831). John, his parents and brother Heinrich immigrated to the United States arriving in New York on June 4, 1887 from Bremen, Germany. The Schwindt's traveled with a large group of people from Norka. John's future wife, Christina (Christine) Hohnstein was born March 25, 1869 in Norka, Russia, the daughter of George Hohnstein (born 1837) and Louisa Wacker (born 1836). Christina traveled to the United States with Ludwig Schwindt and his adult children. The group arrived in Baltimore by steamship on September 16, 1890 and proceeded directly to Portland. John and Christine were married in Portland in October 1890. Nine children were born in Portland: Henry (July 15, 1891), John (August 12, 1893), Kathryn or "Kate" (February 11, 1895), Elizabeth or "Lizzie" (March 14, 1897), George (May 14, 1898), Adam (August 20, 1904), William (March 17, 1907), Helen (April 8, 1911) and Lucille (born March 26, 1913). In 1900, John worked as a barkeeper and the family owned their home at 424 E. Sacramento Street. In 1910, John worked for a street railroad and the family lived in the same location. John died October 4, 1915 and Christine lived until February 1948. Both are buried at the Rose City Cemetery in Portland. 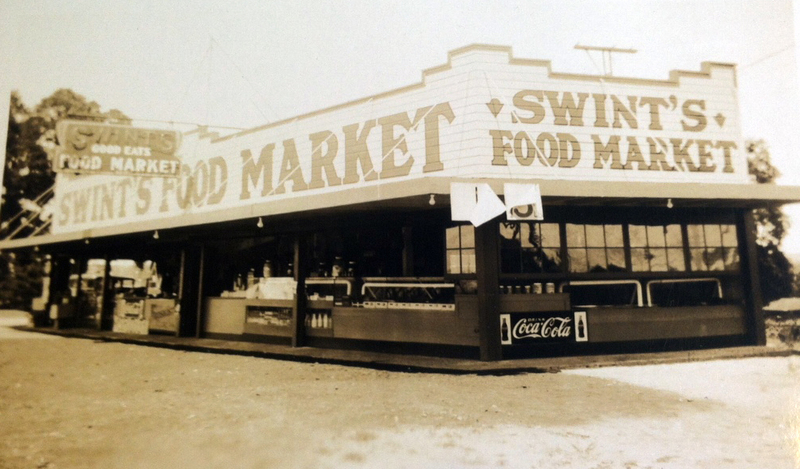 Sons George, Adam and William were butchers and opened Swint's Food Market on North Vancouver Avenue in the late 1920’s. Cynthia Swint Alami, granddaughter of George Swint (born May 14, 1898). Krieger, Joanne, trans. Ebenezer Congregational Church, Portland, Oregon 1892-1908. Portland, OR: n.p., 1999. 54. Print.